This offer runs from 1 January 2019 till 31 December 2019. Complimentary delivery is applicable to the paid price of RM75 and above only. Enter the promo code at the checkout to enjoy the offer. Get the deal.. Please always check with the merchant on the validity of the promotion before purchase. This offer expires on 25th April 2019. No minimum spend required. Brand exclusions apply. Enter the promo code at the checkout to enjoy the offer. Get the deal.. Please always check with the merchant on the validity of the promotion before purchase. This offer runs from 14 March - 30 June 2019. Capped at first 20,000 eligible transactions. Capped at 2 times per user. Free delivery is only applicable to the paid price of RM75 and above. Enter the promo code at the checkout to enjoy the offer. Get the deal.. Please always check with the merchant on the validity of the promotion before purchase. This offer expires on 23rd April 2019. No minimum spend required. Enter the promo code at the checkout to enjoy the offer. Get the deal.. Please always check with the merchant on the validity of the promotion before purchase. This offer expires on 23rd April 2019. Enter the promo code at the checkout to enjoy the offer. No minimum spend required. Valid on selected items only. Get the deal.. Please always check with the merchant on the validity of the promotion before purchase. This offer expires on 22nd April 2019. Enter the promo code at the checkout to enjoy the offer. Get the deal.. Please always check with the merchant on the validity of the promotion before purchase. This offer expires on 23rd April 2019. Enjoy brands such as Nike, Rebook, Adidas, Under Armour. Get the deal.. Please always check with the merchant on the validity of the promotion before purchase. Zalora offers RM25 off your next purchase when you subscribe to Zalora Newsletter . The promotion is ongoing. Subscribe today and get you discount voucher in your email.. Please always check with the merchant on the validity of the promotion before purchase. Zalora offers free delivery on all purchases above RM75. The promotion is ongoing. Shop in Zalora and save on your shipping costs.. Please always check with the merchant on the validity of the promotion before purchase. Zalora offers 20% off when you spend a minimum of RM150 with your UOB card. The promotion is valid from 1 April 2018 - 31 March 2019. Enter the promo code at the checkout to get the offer.. Please always check with the merchant on the validity of the promotion before purchase. Zalora offers 22% OFF with a minimum spend of RM250 when you shop using CITIBANK cards. Valid from 1 January 2019 till 31 March 2019 (both dates inclusive). Enter the promo code at the checkout to enjoy the offer. Get the deal.. Please always check with the merchant on the validity of the promotion before purchase. Zalora offers 18% off with a minimum spend of RM120 with Maybank cards. The promotion is valid until 28 February 2019. Enter the promo code at the checkout to get the offer.. Please always check with the merchant on the validity of the promotion before purchase. Zalora offers 15% off with a minimum spend of RM120 sitewide. The promotion is valid until 31 December 2018. Enter the promo code at the checkout to get the offer.. Please always check with the merchant on the validity of the promotion before purchase. Zalora offers 20% off (capped at RM50) with a min spend of RM250 with HSBC cards. The promotion is available until 31 December 2018. Enter the promo code at the checkout to get the offer.. Please always check with the merchant on the validity of the promotion before purchase. Searching for the best Zalora promo code or discount vouchers before you finalise your purchase? You are at the right place. Don’t miss out on these special Zalora Malaysia promotions! Browsing through the Zalora Malaysia site can literally take you HOURS! The sheer amount of different apparels on the site will leave you spoilt for choice. But adding all those pretty tops into your cart sure adds up. If you just can’t leave your shopaholic tendencies behind (even in the New Year), check out Cardable for some amazing Zalora promo codes and discount codes. Maybe you can score an extra item with the savings made! A concern that many of us have when buying branded apparel online is if they are 100% authentic. After all, most of us would opt to get an item that is cheaper. But items that are authentic probably last longer, and is a better investment in the long run. It can be difficult to sift through imitation goods to find the real goods, but Zalora Malaysia is here to help you out with that. They only carry authentic brands, which include Fossil, Adidas, Dorothy Perkins, Puma, and Topshop/Topman. 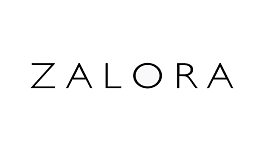 Zalora has even launched their own house brand, called ‘Zalora’. Even though their brands might be authentic, Zalora has somehow managed to pass on savings to us consumers, with up to 70% off on Topman items! All you have to do is click on the category header (eg. Topman SALE), and you’ll be brought to a page with all the best discounts. For example, the SECOND item on the page, a pair of Flyknit Sneakers, is already going for 50% off. RM196 to RM98 is a huge amount, and is certainly a steal. If you have something specific in mind, check out the sidebar by the left-hand-side of Zalora Malaysia’s page. Price and brand filters will help you find what you’re looking for easily, without scrolling through the endless products that Zalora offers. You can even filter the items by size, colour, and cutting. Now that we’re constantly on our mobile phones, shopping on the computer is getting less common. Thankfully, Zalora Malaysia has brought in a mobile application that will help make your morning ride to work a little less dreary. The application is called ‘Zalora Fashion Shopping’ on both the Apple store and the Google play store. It is so user-friendly that it was even awarded the Markie Award for Best Mobile Experience in 2016! If that’s not enough to convince you, loyal users of the Zalora application will receive exclusive discounts. Along with that, special alerts for NEW arrivals, special sales and brand launches will be sent to your mobile phone. This means you get first dibs on the latest apparel! Do ask your friends to download the application as well, as you can ‘share’ your favourite brands and looks with them through Facebook, Instagram, Twitter, Google+, etc. Psst, if your birthday is coming up and you want to send a subtle hint to your friends, the Zalora application has a ‘Wishlist’ function as well. Delivery fees are common ‘hidden’ costs that we always forget to take into consideration. Zalora Malaysia has FREE delivery above RM75, meaning that you have a great excuse to add more items into your cart! However, do take note of the different costs of delivery should you fail to hit the minimum spending amount. For Kuala Lumpur, Putrajaya and Selangor, the standard shipping fee is RM5. For Sabah & Sarawak, it is RM10, and it is RM8 for the rest of Peninsular Malaysia. As Malaysia is huge, the time taken for parcels to be delivered may be a little longer. For example, if the item is sourced from an external or third party supplier, it may take up to 10 working days for it to reach you. However, if the item is already in the Zalora Warehouse, it can take any time from 1-3 days in Klang Valley, Penang & Johor, and 1-4 days for the rest of Peninsular Malaysia. If you’re confused about whether the product is sold by Zalora (Zalora Warehouse), from an external or third-party supplier or from an independent retailer, check the delivery lead time from the product description page before your purchase the item. Alternatively, if you’ve already purchased the item, Zalora Malaysia should have sent you an email. The delivery date (specified in the pink box) should let you know when your item is expected to arrive. I don’t know why, but I love checking where my order is, even if it doesn’t make the parcel arrive any faster. Zalora Malaysia has a cool feature where you can track the position of your parcel! You can access this feature on their mobile application or on their website itself, but I personally prefer using the mobile application which is more user friendly. By the way, do remember to create a Zalora account in order to track your order. It may take up to 24 hours for your tracking number to activate once the ‘order shipped’ email has been sent, so don’t be alarmed if you don’t receive it! New to Zalora? Simply key in your email address on the bottom right hand side of their site or when prompted to get RM25 off your first purchase. For other discounts and Zalora promotion codes, check out Cardable which will be posting up more Zalora discount codes and vouchers whenever they are made available. Enjoy your shopping experience on Zalora Malaysia!